We are specialist extension builders in Chesterfield for residential and commercial buildings and homes covering Sheffield and Chesterfield in South Yorkshire. The look of your existing building should be maintained when designing an extension. At G build we go to great lengths to ensure our building materials blend with your building in terms of scale colour tones and materials. 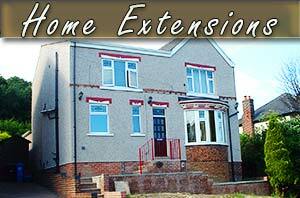 Need Extension Builders In Sheffield? Could you use more space in your kitchen? Or perhaps a bigger living room? Do you need an extra bedroom. Fancy a games room? We specialise in all home extensions and house extensions. Contact us or call us on 01246 419111. If you are considering a home building extension we can build your extension to your architects blueprints or we can build your new home extension to your instructions. Get in touch to discuss your building extension project. 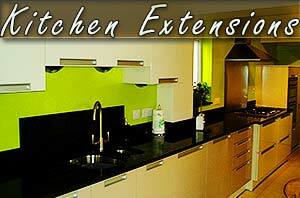 Looking for beautiful kitchen extensions in Sheffield? We can build your new kitchen extension so the exterior blends perfectly with the look and age of your existing building. Call us on: 01246 419111 for more information. Our Sheffield builders can extend any building regardless of age, condition or purpose. 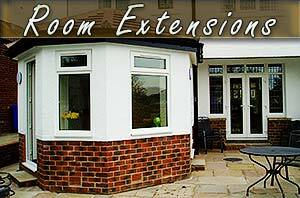 From living room extensions to full house extensions we can cater for all your room extending needs. 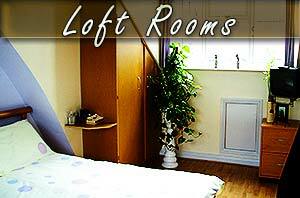 We build new loft attic rooms and loft conversions (attic conversions)in Sheffield and Chesterfield, South Yorkshire and Derbyshire. Custom built loft and attic rooms to your drawings or blueprints with or without roofing windows for Sheffield and Chesterfield. Kitchens have evolved over the years from the place to prepare your meals into a place in which everyday life centers. "According to recent studies more than 80% of the population are not happy with their kitchen space." Some of the reasons the kitchen has evolved into a social room include design, position in the house and the size of the kitchen. Quite often kitchens are connected with dining rooms but even without that, many daily activities still take place in the kitchen. The children bring their toys to play in the kitchen and the parents spend time there socialising with friends and family. However, some houses have been built with very small or narrow kitchens. A kitchen extension allows house owners to increase the size of their kitchen thus making it more spacious and comfortable than ever before. Extension builders Sheffield, home extensions Chesterfield, loft rooms sheffield, Sheffield kitchen extensions, building extensions Sheffield, G Build, EXTENSION BUILDERS SHEFFIELD.